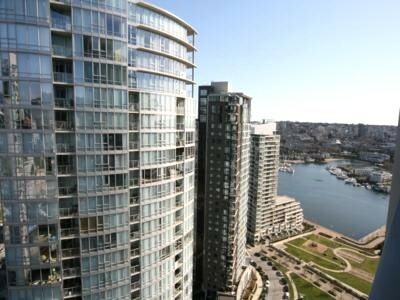 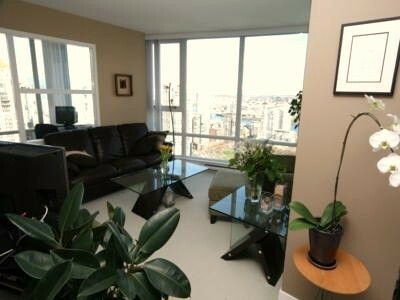 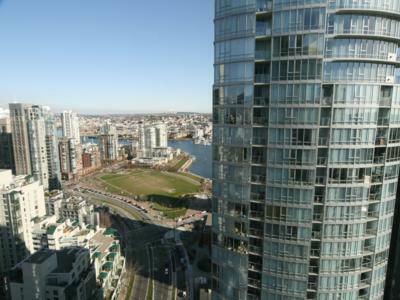 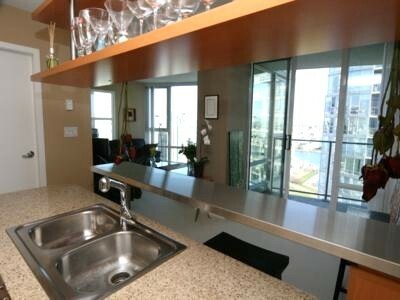 False Creek View is a 32nd Floor corner suite, floor to ceiling windows frame amazing 180 degree City, water, Mountain and park views! 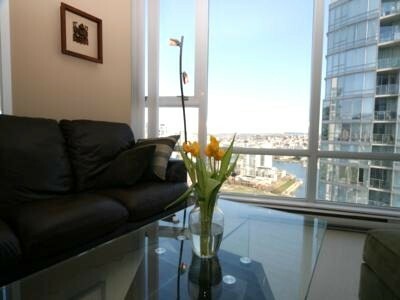 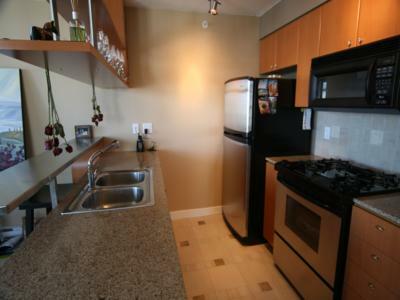 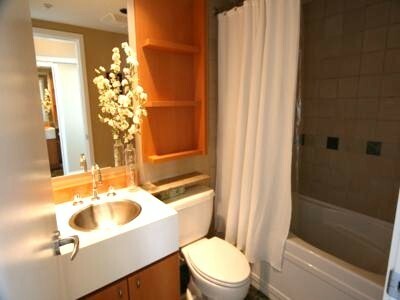 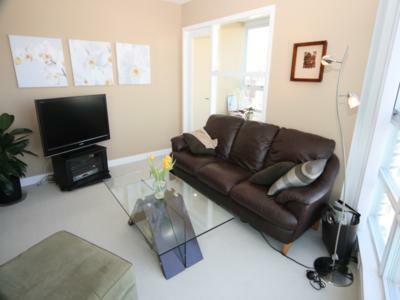 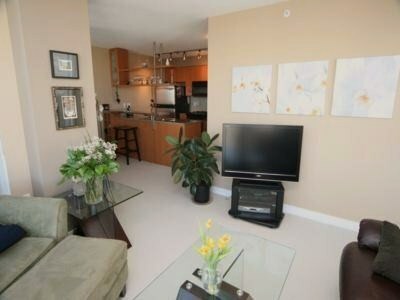 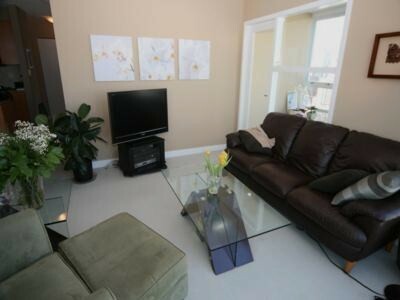 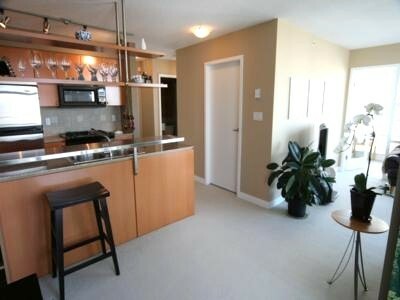 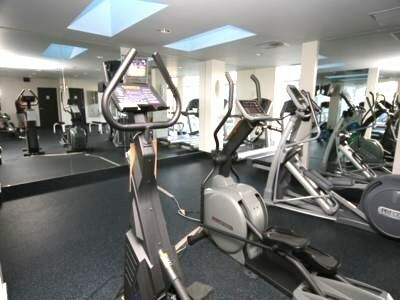 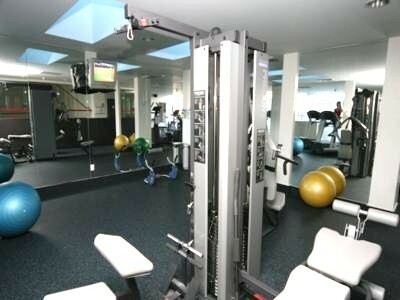 Enjoy the spacious 750 square foot one bedroom with den. 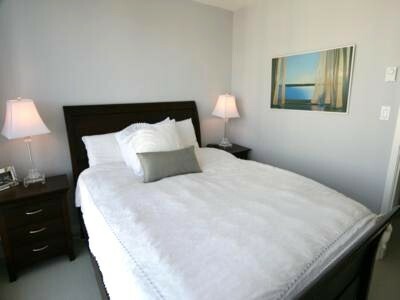 Contemporary design, top of the line furnishings including 40 inch LCD HDTV, granite counter-tops with stainless steel appliances and a gas cook top, a gorgeous pillow top bed, with 600 thread count Egyptian cotton sheets and walk-in bedroom closet. 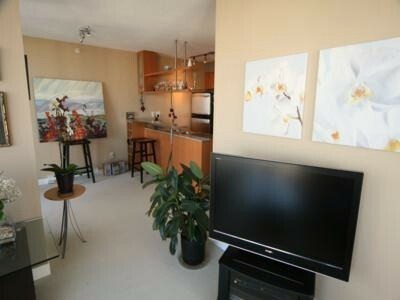 This unit also features a high speed internet connection. 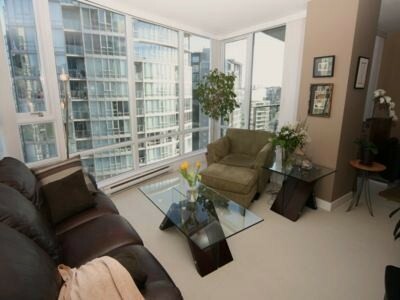 Trendy and hip Yaletown is at your doorstep, lounges, restaurants, boutiques and services of all kinds. 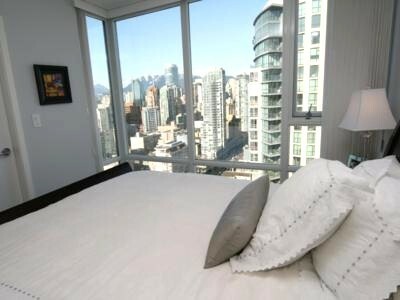 The heart of downtown Vancouver, where you will find theatres, Pacific Centre Mall and the world renowned Robson Street shopping area is a ten minute walk away. 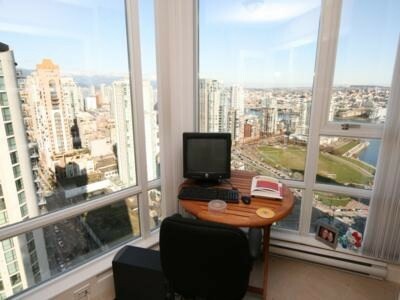 BC Place and GM Place are also a ten minute walk, and the Olympic village is visible from the living room, and just a 5 minute drive. 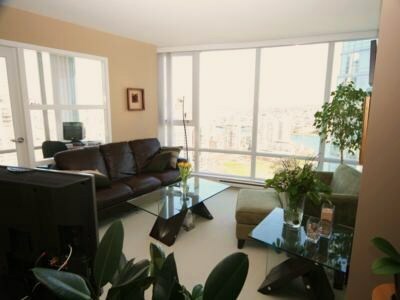 The building is located on False creek waterway, next to 2 parks, and directly beside the Seawall walkway, where you can stroll along the seaside all the way to English Bay, Stanley park and Coal Harbour or take the water taxi to Granville Island. 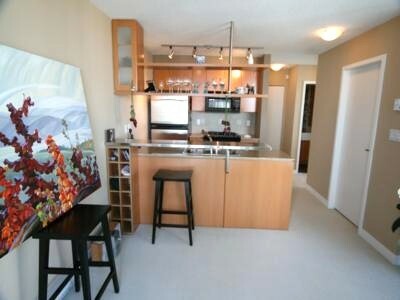 Transit is easily accessible in the area. 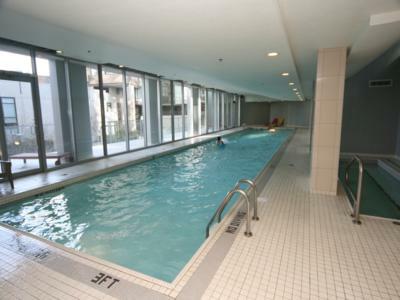 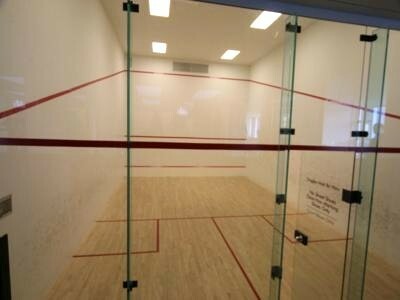 Building amenities include a full fitness centre, squash courts, lap pool, spa, steam room and sauna, 24 hour concierge, Billiards room, private theatres, party rooms and access to a guest suite. 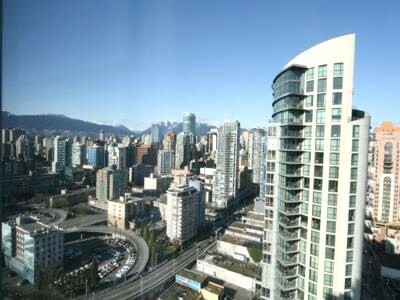 It does not get better than this in Vancouver.